Our long standing customer, a specialist manufacturer of metal packaging, has recently relocated from its site in Bootle to a new facility in Aintree, Liverpool. The new premises will feature the latest HPC Kaeser equipment to provide efficient, cost effective production, whilst some of the older HPC Kaeser compressors will be re-used as back-up units. In addition, new HPC Kaeser CSV vacuum pumps were proposed to provide a total package solution. As well as supplying new energy efficient air compressors and vacuum pumps, a new pipework system was required. Glaston recommended a Transair pipework system for quick installation, flexibility and its energy efficient properties. The vacuum system included two CSV150 HPC Kaeser units which also utilise the latest IE3 premium efficiency motors. Both units are able to generate 942 m3/hr at 10 mbar(a), and have been used successfully for many years at numerous other sites across the UK. The new system was designed, installed and completed over a 3 month period from January to March 2013. It has now been operating effectively for several months, with the new equipment functioning to the design specification and specific requirements of the customer. In addition, a long term service agreement has now been signed to ensure that the efficiency and high performance of the new equipment is maintained. 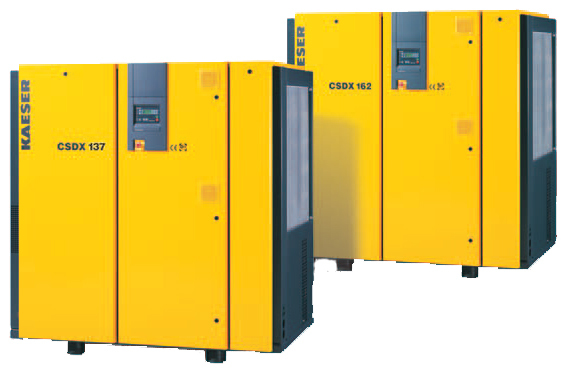 For more information about HPC Kaeser Compressors click here.